How Did Noah Build the Ark? The Ark would have been designed for strength, comfort, and stability. Generations before Noah we read in the Bible that people were working with bronze and iron. We don’t know what kind of technology Noah had available. 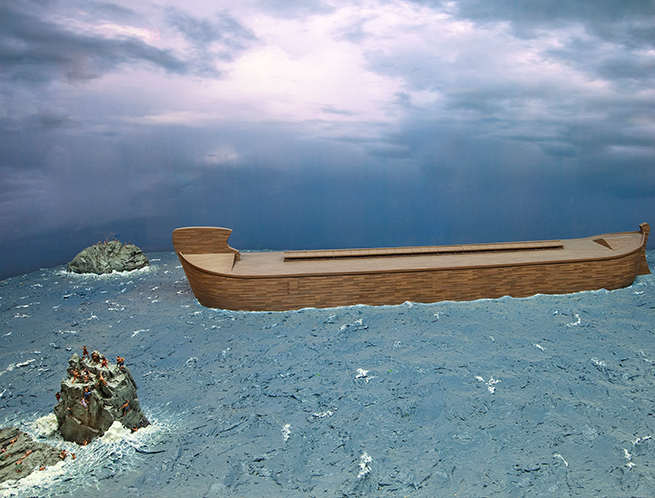 Noah could have used metal, machinery, planking, and wooden nails in addition to the pitch and gopher wood materials we read about in the Bible. God’s Word doesn’t tell us exactly where the door was on Noah’s Ark, but we do know that God was the one who shut it. After it was closed, the opportunity for anyone else to be saved from the Flood was over. God shut the Ark’s door and unleashed the Flood upon the earth. The waters rose until they covered the highest mountains of the pre-Flood world. All of the people and land-dwelling, air-breathing animals that weren’t aboard Noah’s Ark died. That’s why we find so many fossils all over the world today. 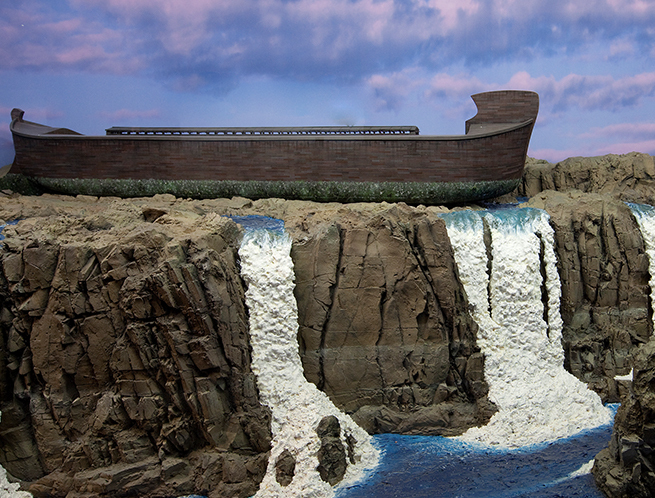 After the waters finally receded, Noah, his family, and the animals got off the Ark. God promised Noah that He will never again flood the whole world. 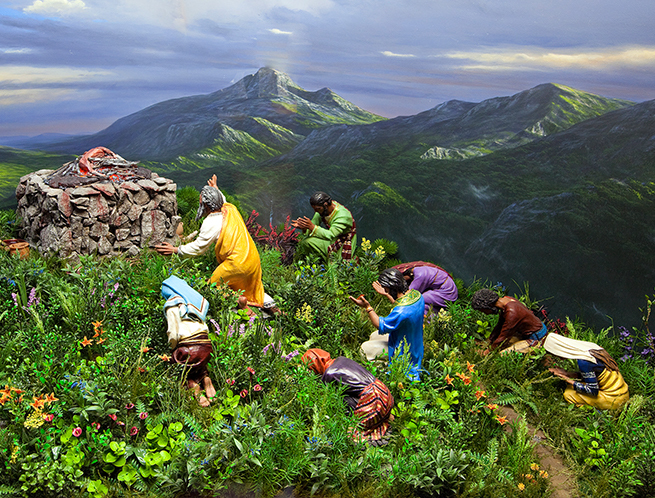 Learn what changed for Noah and the generations to come at the Creation Museum. We read that God brought the land-dwelling and air-breathing animals to Noah in pairs, one of some and either seven or seven pairs of others. God would only have needed two representatives from each animal kind because they could have reproduced according to their kind after the Flood. And yes, God also brought dinosaurs on board as well as many other animal kinds that went extinct after the Flood. Want to see more than just one percent of the Ark? 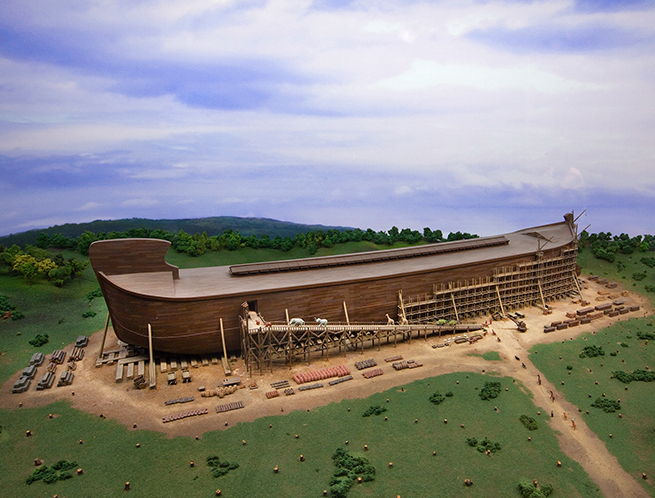 You and your family can tour the life-size Noah’s Ark at the Ark Encounter, located in Northern Kentucky. Combo ticket packages allow you to visit both attractions for a lower price than if purchased separately!